If you happen to come across this post as you were looking for WordPress themes in general you might not know what the first three letters in the title of our article stand for. 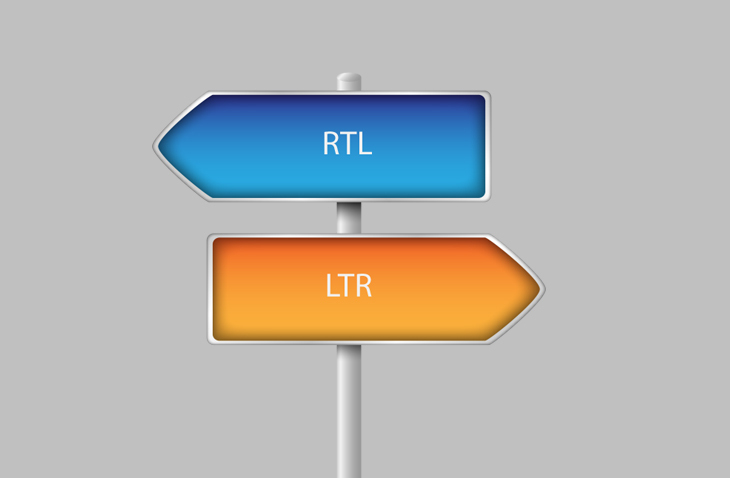 RTL stands for right to left and it is in reference to languages. So right to left languages would be languages such as Hebrew or Arabic, where they are written and read from right to left. As our planet has become much more connected and people from all over the world speak all different and various types of languages it is becoming increasingly important that your website can manage to be translated into various different languages so that as many people as possible can read, understand and ultimately use your site and keep coming back. So it is vital that the theme you choose to create your website is not just translation ready, but that it can also support right to left languages and luck for you we have a nice long list of different RTL WordPress themes for you to check out. RTL WordPress Themes – Is There a Difference? All of the themes we have listed in our RTL WordPress themes list can all accommodate all rtl languages as well as languages that are not RTL. We have compiled WordPress themes together so you can see various different types of themes and options for themes that all contain this incredibly important feature. Depending on what kind of site you want to create whether it be something like: a news site, or game site, or fashion blog, or any other type of site will depend which theme from our list you choose but we wanted to bring to you options that all had the RTL quality in common. So let’s see which theme may be your perfect match. 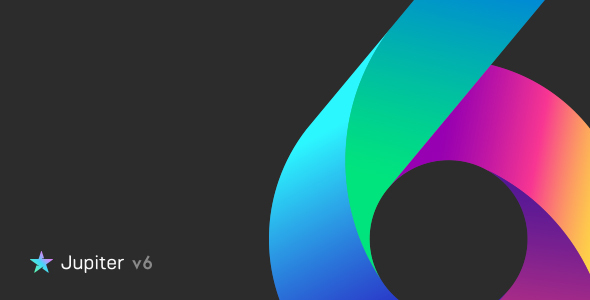 First on our list of RTL WordPress themes is The Core. The Core is a multi purpose WordPress theme on themeforest that comes with 23 different WordPress websites inside of it, these are demos that were created to be used for specific industries. Since this theme is multi purpose it can be used for almost any kind of website. The Core is fully responsive and retina ready so all of your content, text and images will be able to be clearly viewed on all different types of devices and different screen sizes. This theme is also totally customizable so and gives you the ability to create any type of website that you want, such as a: corporate site, portfolio, landing page site, blog, etc. There is also the advanced Visual Builder with drag and drop functionality for super easy website customization. 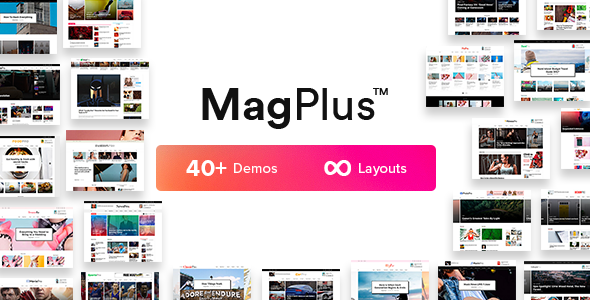 The MagPlus WordPress theme is perfect for those interested in starting a blog, news, magazine or reviews website. With this theme you will get the Visual Composer, style editor and Live Customizer to help you build your site and customize exactly to your wants and needs. It also comes with a library with more than 150 handcrafted elements to help you “build anything”. In addition to this, MagPlus will provide you with more than 6 different plugins for you to use Free. It has a fully responsive design so your site’s layout and content will look on the same on any device your user is using no matter that device’s screen size. MagPlus is fully translation ready so people all over the world will be able to use and understand your site in their native tongue. Our next WordPress theme is for all of you photographers out there looking to display you content and work online on your own personal site. Shutter gives you the ability to easily upload your work into already made templates, like albums, and once they are uploaded you can filter you photos as well within your site, thanks to Shutter. The second version of this theme was made to work with WooCommerce so if you are also interested in selling your work or having an online shop aspect with your site, the Shutter theme can fully accommodate this need. There are cool tools that are specific to people selling their creative material, like a price list shortcode and a contact form builder so you will be able to make a “get a quote form”. We move on to the Philanthropy, and you can probably guess what kinds of sites this WordPress theme should be used for, you got it, non profits. It has a fully responsive design and is retina ready so all of your content in addition to images will be displayed great across all different kinds of devices and your site will be correctly formatted to fit various screen sizes. With Philanthropy you will also get the Visual Page Builder which will help you create your site with extreme ease thanks to its drag and drop feature. This theme is also BBPress ready, this means that you will be able to do things like create online forums for the users on your site. It is also BuddyPress ready so you can run any kind of social network on your non profit site. 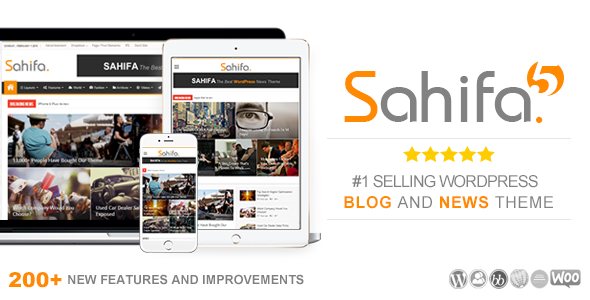 We have reached the fifth of our RTL WordPress themes with Sahifa. Sahifa is a theme to be used for a blog, magazine or news site. This theme was literally built to have fast load times and a positive user experience. 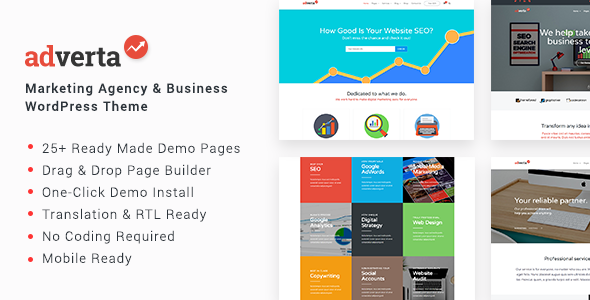 The Sahifa theme is the first theme in our list to have the Tie Page Builder which has a built in drag and drop home page builder for you to easily customize your home page with loads of block layouts. There is WooCommerce as well should you have a retail aspect or online shop on your site. Like our other themes so far, this one also is retina ready and fully responsive so you don’t have to worry about that. Sahifa is also: WPML, Buddypress and BBPress ready so you have a lot of tools to help you get your site going right away. 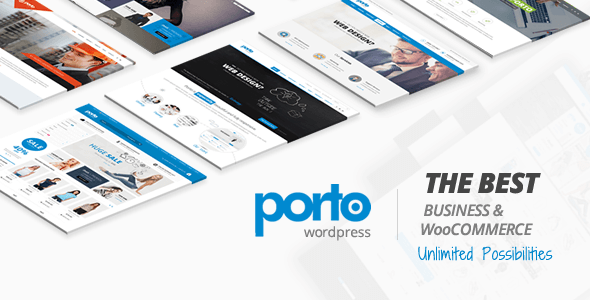 The Porto WordPress theme is another multi purpose theme so it can be used for a website for any type of business. With Porto however, you will get ultimate WooCommerce features so if you are making an eCommerce site or will have some sort of online shopping for your WordPress site, you may want to pay attention to this theme. The Porto theme comes with the Visual Composer page builder for easy, breezy page building and customizing so you can create everything exactly the way you want it. It is also retina ready and 100% responsive so your site will look great from desktop to teeny tiny mobile devices. Porto is also search engine optimized friendly so your site will rank high in online search results. The NewsPlus WordPress news theme is great theme choice for; you guessed it, a news site, or magazine or blog, and it can also work for review websites or editorial websites. The NewsPlus theme comes with a variety of different plugins like: WooCommerce should you need or want an online shop section, BuddyPress for online communities, bbPress which is used for discussion forums, and WPML in addition to many other plugins. This theme is totally responsive and retina ready so everything on your site will look good on all screen sizes. 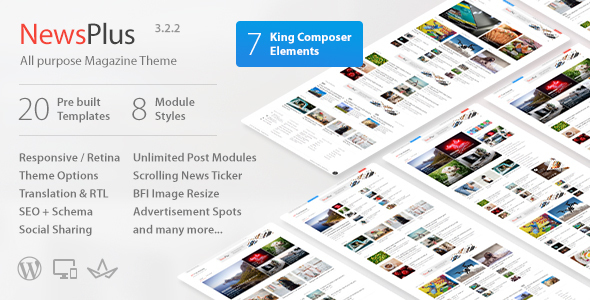 Something different about NewsPlus is that it comes with the King Composer page builder instead of the Visual Composer which is more common. 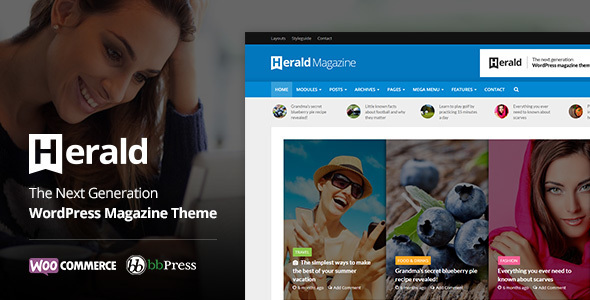 The Herald WordPress is another news theme for our list of RTL WordPress themes. It is very easy to navigate, which is good if computers aren’t your thing, and can hold a lot of content on each page, which is good for a news site. This theme is optimized for speed so your users shouldn’t experience buffering and should have a smooth experience while navigating your site. The Herald theme also comes with the Advanced Theme Options panel so customizing your site can be done with incredible speed and ease. This theme, like the others, is fully responsive as well as retina ready. A great perk of the Herald is that it gives you space to place ads on your website so you can also make money from your site. The tenth choice of our RTL WordPress themes is Divi. 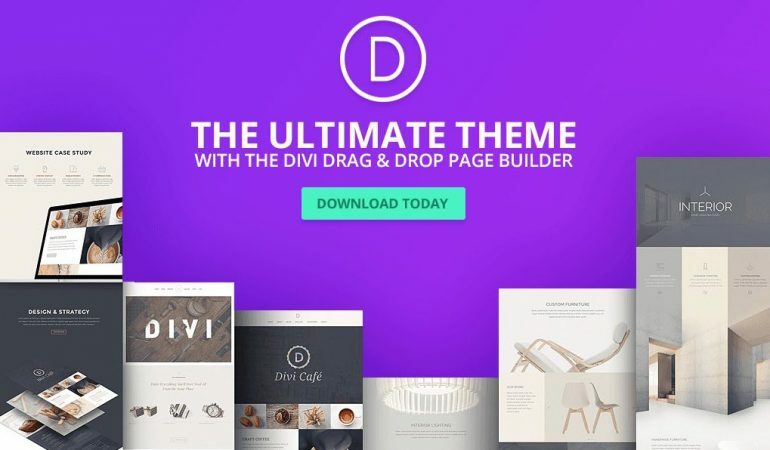 Divi is a pretty popular theme that you may have already heard of from Elegant themes. It is a multipurpose WordPress theme and can be used to create almost any kind of website so whatever your dream site is Divi can help you make it. This theme is one of the most powerful themes on the market and it also has its own page builder that of course has the amazing drag and drop feature. With Divi you can “build anything visually” this is due to its incredibly long list of great features. You will be able to literally customize each and every element on your site, so all of you who like to let your creativity soar, then this is the WordPress theme for you. This next theme was made just for all of you travelers and travel bloggers out there. The Travelista WordPress travel blog theme can be used for not just travel, but food or lifestyle or even a news blog as well. Its design is 100% responsive and retina ready so your site is covered from large desktops to itty bitty mobile phones. The Travelista WordPress theme also has WooCommerce so if you need a theme that will allow your site to have an online eCommerce then this could be a good choice for you. You can also make money from your WordPress blog because Travelista has an Adsense that will allow you to monetize your site. SmartMag, you may have been able to realize fro its name, is a WordPress magazine theme. It comes with a drag and drop page builder to help making and creating your home page super easy. 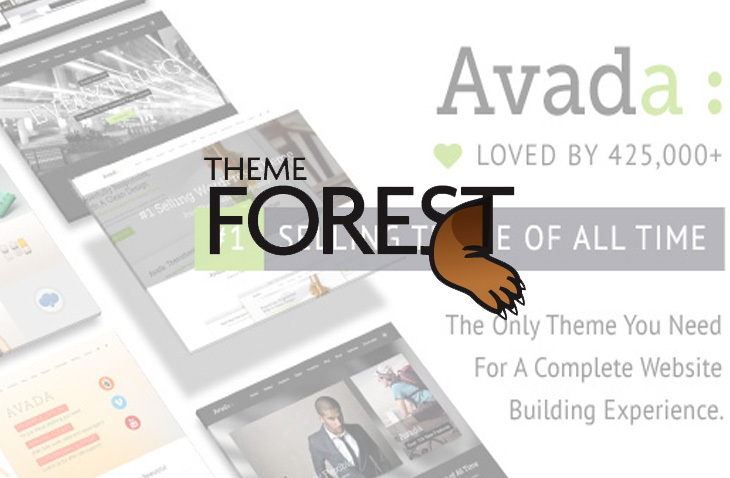 It is a feature packed theme so you will definitely get your money’s worth. The SmartMag theme comes with built in search engine optimized rich snippets as well as HTML5 so your site will rank high in online search results. This theme’s design is responsive and retina ready so your site’s written content as well as your image content will show up just as it should no matter which device your user is using. It also comes with the Revolution Slider and WooCommerce and it can work with BBPress. 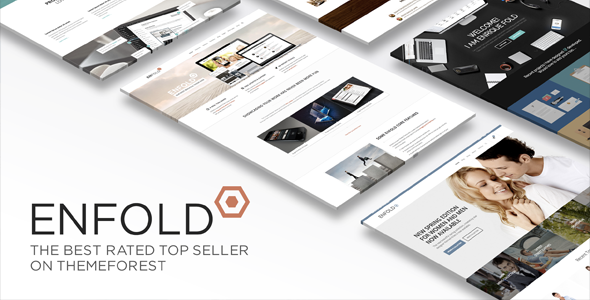 Next on our RTL WordPress themes list is the fully responsive and retina ready, Enfold theme. 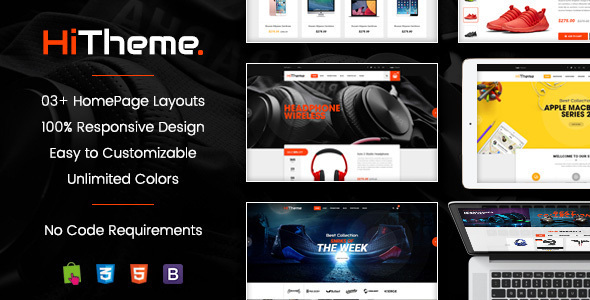 This is a very flexible WordPress theme that would be a perfect to use for business websites, shopping websites or anyone that needs an online portfolio of some kind. It was built using the Via framework and, like many other themes, comes with a drag and drop template builder so you can literally drag the items you want around your page and drop them anywhere you like. The Enfold theme can also support WPML multi language plugin so your site can be translated and people from other countries can read and understand your site’s content. It is also WooCommerce ready for any of your online shop needs and it can support WooCommerce bookings which you can use for time and date based bookings. 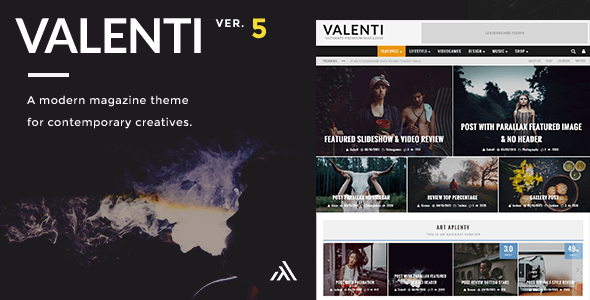 Number fifteen of our RTL WordPress themes is Valenti, a premium WordPress HD review magazine theme. Its design is both retina ready and fully responsive so your site will look great no matter what device your users are using or how big the screens are. The Valenti theme has a unique drag and drop page builder so you can easily create your home pages as you wish and modify them. It is search engine optimized ready so your site will show up high in online search result rankings which will lead to more views on your site. Valenti comes with the ability to integrate WooCommerce, for a retail aspect, bbPress and BuddyPress so you can also create an online community. 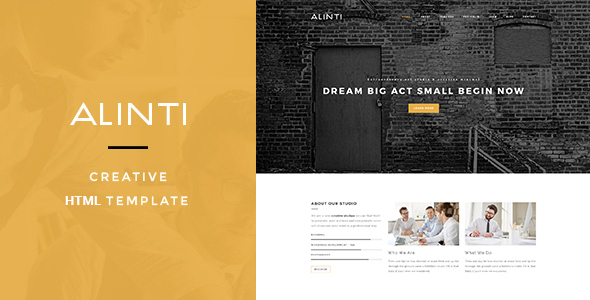 The WordPress Alinti theme is a minimal theme and is a great choice for anyone that is looking to make a portfolio WordPress site. This theme is also good for creative people so if that describes you then the Alinti theme may be a good choice of theme for you to use. This theme comes with the Visual Composer page builder to help you build the pages of your site exactly the way you want them to be. It has the drag and drop feature so you can literally drag items around and then drop them in the location that you want. It is search engine optimized and has HTML structure so your website will rank high in online search results which will lead to more people visiting your site and more site views. A nice perk of Alinti is that is also has Contact Form 7 which will allow you to stay connected with users that sign up to receive emails. 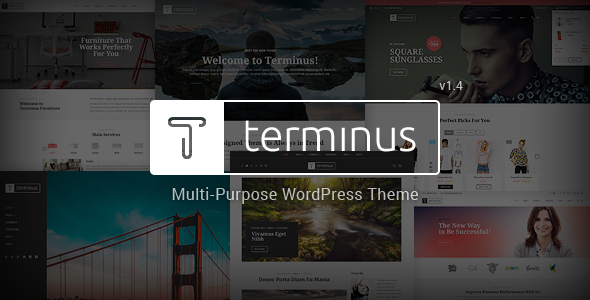 The Terminus theme is another multi purpose WordPress theme of our RTL WordPress themes list. Its layout is responsive and retina ready so all of your contact will be correctly formatted to fit different types of device and different screen sizes. It is search engine optimized which is great for bringing in more users and views to your WordPress site. There is also a cool feature with this theme and that is that it has a place for testimonials. So you users can leave their feedback on your site which will help new users build trust in your website. 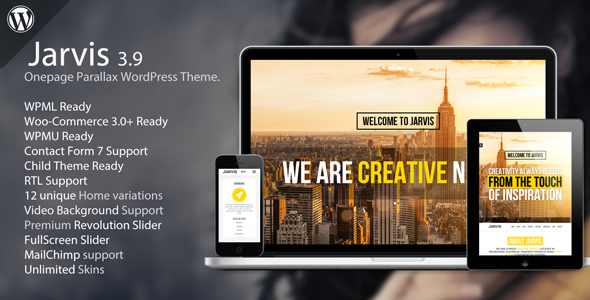 The Terminus theme also comes with several popular plugins including: Slider revolution. Layer slider 6, Easy Tables, WOOF and more. We move on to the Pressroom theme, which you can probably already tell is going to be a theme for news websites or maybe online magazines. 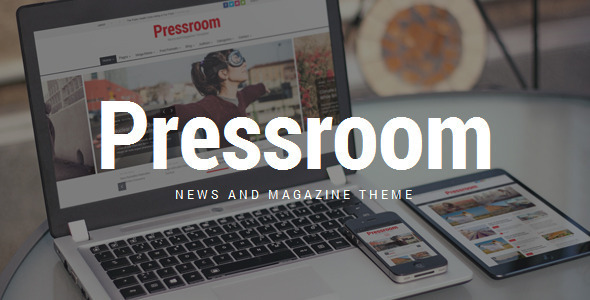 While its name is “Pressroom” this theme can also be used for sites like: blogs, publishing or even a review site. There is WooCommerce integration for those of you that are looking to incorporate an online shopping feature to your website. It is cross browser compatible which means it works on most popular browsers like Safari, Chrome and Firefox. This theme also has the Visual Composer with its drag and drop feature so you know customizing and building your site may actually be fun instead of a total headache. Its layout, just like most of our other themes, is fully responsive. 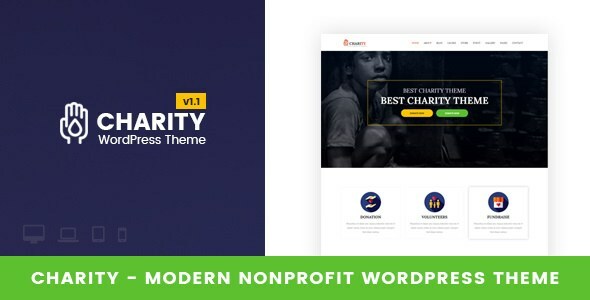 The Charity WordPress theme is for, you guessed it, websites for non profits and charity organizations. It comes with the Visual Composer to help yo get your website up and running fast and easy and exactly the way you want it to look. There is also integration for WooCommerce should you ever want or need to have some sort of online shopping part to your WordPress site. There is also BBPress integration which is nice so you can create an online forum on your website. 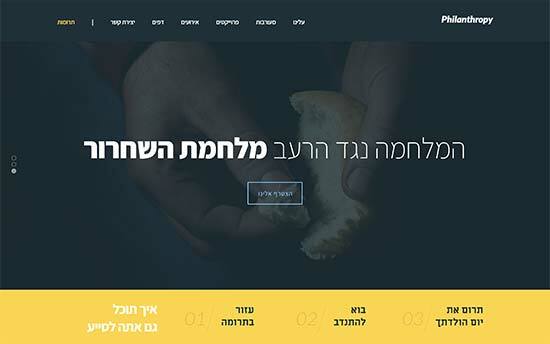 This theme comes with everything you would need t have for a charity website. There is even a donation system using either PayPal, Stripe, authorize.net or another offline payment option. The Charity theme is also search engine optimized. 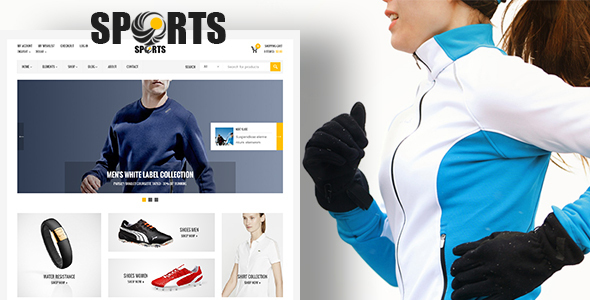 Sport Shop is clearly a theme meant for anyone that wants to create an online sporting shop site but it can also be used for sites like: a general sports website, extreme sports, or sports club. Since it is mainly geared towards being used for sports shopping sites it work with WooCommerce to use as your eCommerce platform. There is a drag and drop element builder page to help you easily create and customize the pages of your site. It is search engine optimized to ensure that your website will be high in online search results to bring in more users and views to your site. Its design is fully responsive so your website will still look good even on small mobile screens. 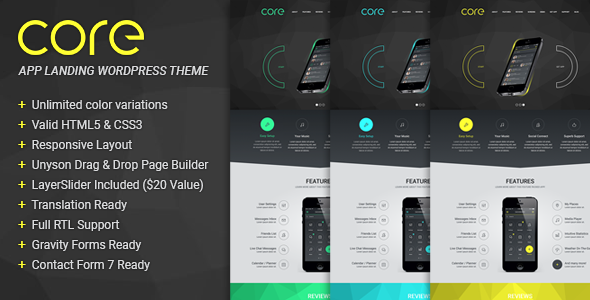 Next up on our RTL WordPress themes list the Core theme which is actually a pretty cool and interesting theme because it is a Mobile App Landing Page theme. There is a drag and drop builder called Unyson which is built into this theme so you can easily customize and create your content. This theme can be used to make a mobile app showcase for Apple, Android, and other mobile devices. There are 3 custom styles that come ready made with the Core theme but you can decide to create your own custom color. There is also responsive styling so your content will be formatted to fit different screen sizes. The Adverta theme is a marketing and business WordPress theme geared towards digital/marketing agencies, small/medium businesses, online marketers and other similar types of businesses that want to create a website. It has very fast load times which means that your users won’t be annoyed by buffering and slow loading pages. It was built with search engine optimization in mind so your site will be more noticeable when people search online for similar related websites. The Adverta theme has a fully responsive design and the Visual Composer page builder with drag and drop to make customizing easy for you to build your ideal website. It also has the Slider revolution and can work with WooCommerce. 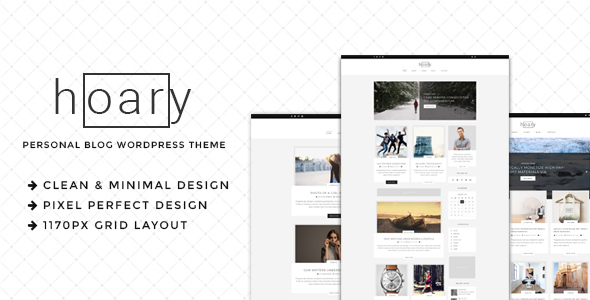 The Hoary WordPress theme is a minimal theme just for all of you bloggers out there. This theme comes with a drag and drop page builder as well so you will have no problem building and customizing your perfect dream website. It has a fully responsive design so no matter what kind of device or what size screen your user is using to access your site, your content will come up formatted for their particular device. There is also SEO optimized HTML structure so your site will be more likely to get noticed in online search results which will lead to more views. Contact form 7 also comes with the Hoary theme so you have the ability to connect with users through email if they subscribe to your site. The Jupiter business WordPress theme is next in our RTL WordPress themes list. Jupiter is currently in its version 6 and is celebrating its five year anniversary. Since it is multipurpose, it can be a great theme option for many different fields of work like: artists, shop owners, small businesses, and so much more. The Jupiter theme comes with a front-end Visual Composer page builder so you can easily build and customize your site, thanks to the easy to use drag and drop feature. This theme is also search engine optimized so your WordPress website will show up high in the rankings of online search results. A nice special feature of Jupiter is the Shop Customizer should you want to have an online shop be a part of your website. 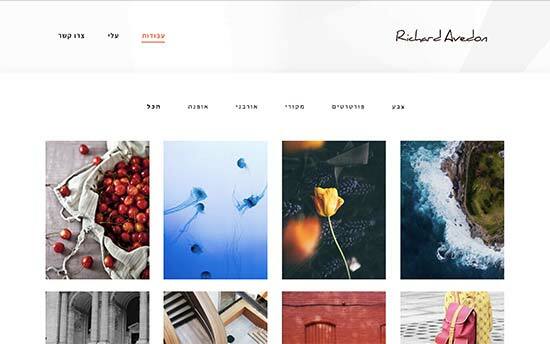 And last but not least of our RTL WordPress themes we have the HiTheme. This theme is known to be on Themeforest as one o the most customizable WooCommerce WordPress theme available so if you are really into customizing then this may be a good fit for you. Its design is fully responsive and it is deeply integrated with WooCommerce. There are so many different theme options you can choose from that you can customize your site just to your liking without really having any tech knowledge. 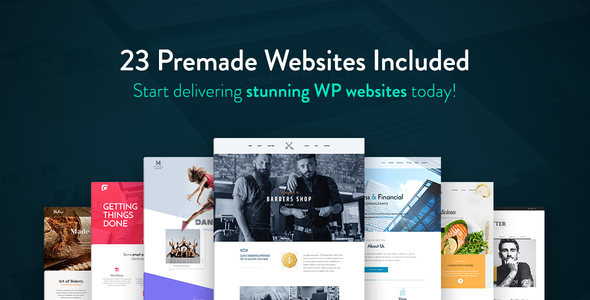 There are more premium add ons included with HiTheme aside from WooCommerce, such as Revolution Slider and MailChimp to help you stay connected with your site’s users. Now that you have seen some diverse options of RTL WordPress themes did you find one that will work for the kind of website you want to make? Having a website that can support as many languages as possible is super important because our society is so global. The more languages your site can accommodate the more people can use it and the more users, views and subscribers you’ll get.